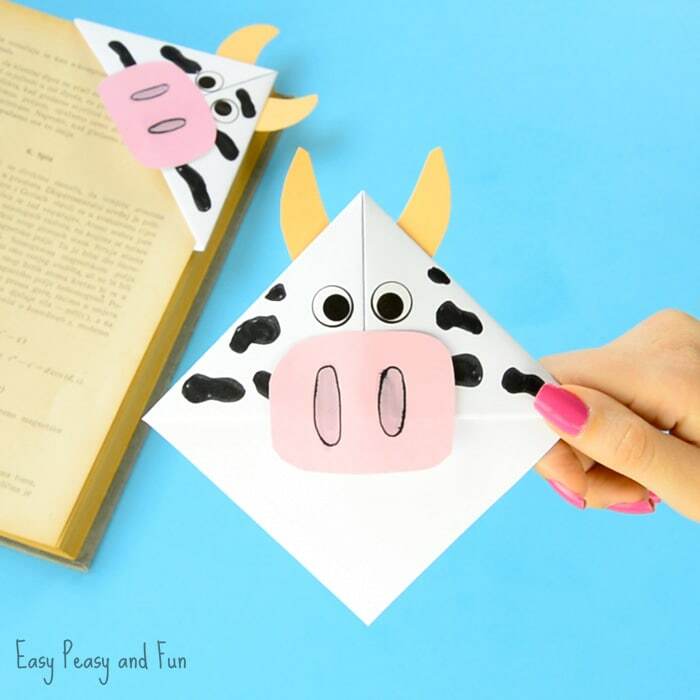 This cow corner bookmark is looking quite cool isn’t it? 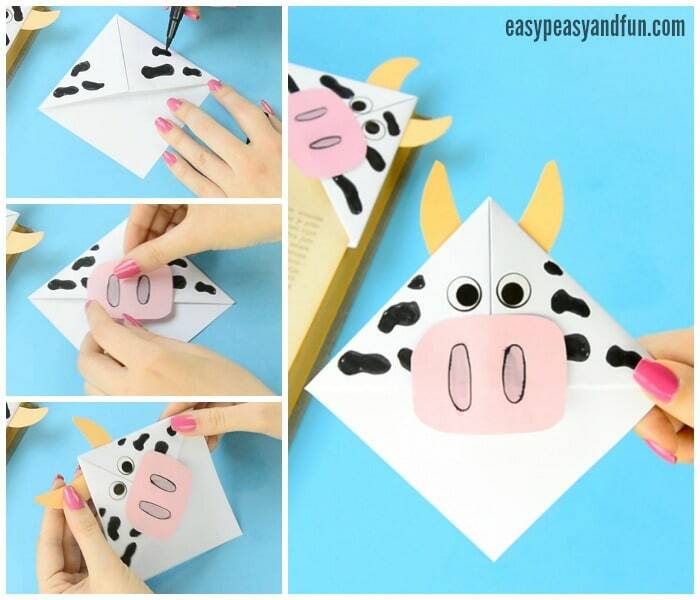 Learn how to make your own corner bookmark and how to decorate it as a cow. 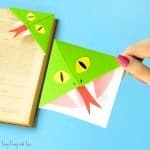 We love making these simple origami for kids, as we think all books need a fun looking bookmark to keep the pages in check. 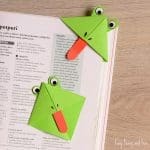 This one is the next craft in our origami corner bookmark series as well as our farm animal craft ideas. 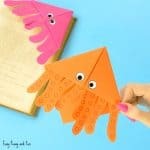 If this is the first time for you or your kids making this origami project, I promise you will get addicted! 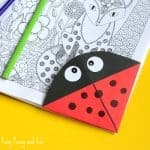 These are really easy and quick to make and the possibilities for designing and decorating them are virtually endless (we’ve made a ton of designs already – just scroll to the bottom of the page to see a few of the ideas we shared to get inspired). 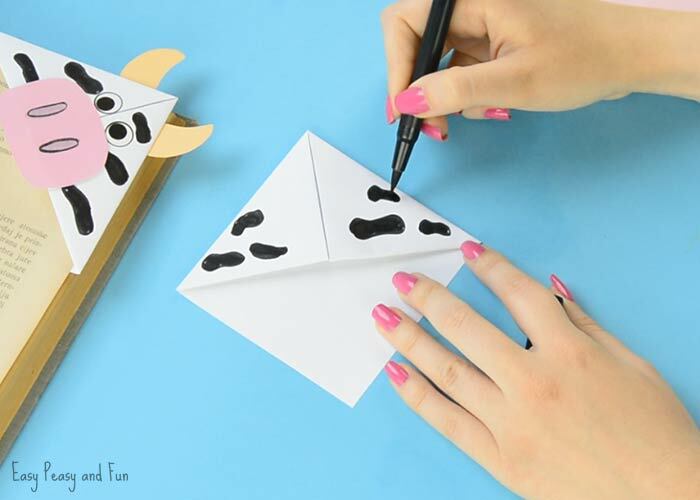 Cow bookmark was on the “to do list” for quite a while as I knew the snout would look really adorable and it really does! The horns are pretty fancy too, even more so as they are look so fun sticking out when the book is closed. 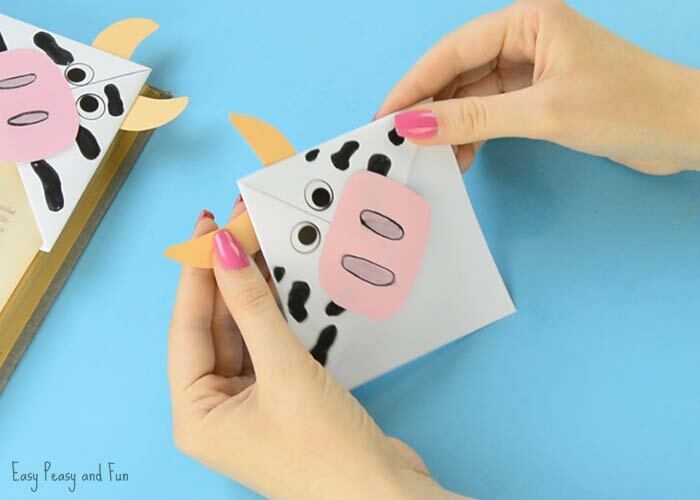 So are you ready to fold your own cow corner bookmark? Follow our tutorial and let’s make one or a dozen. 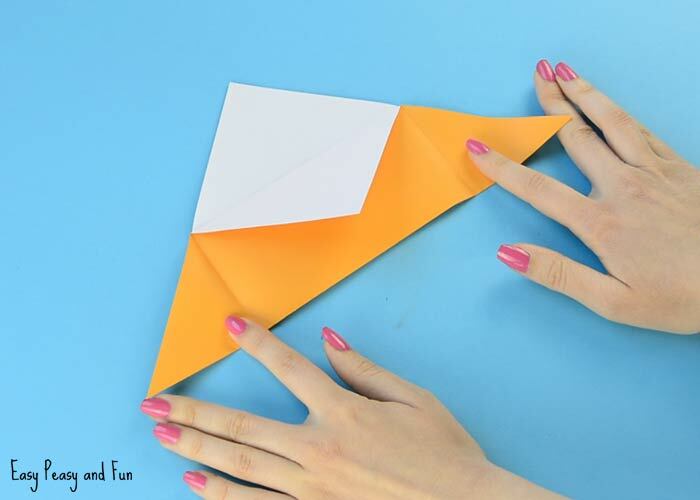 We have the isntructions for this origami available both as a video tutorial and as a photo tutorial. We are showing the fist steps with an orange paper as it’s more clear this way. 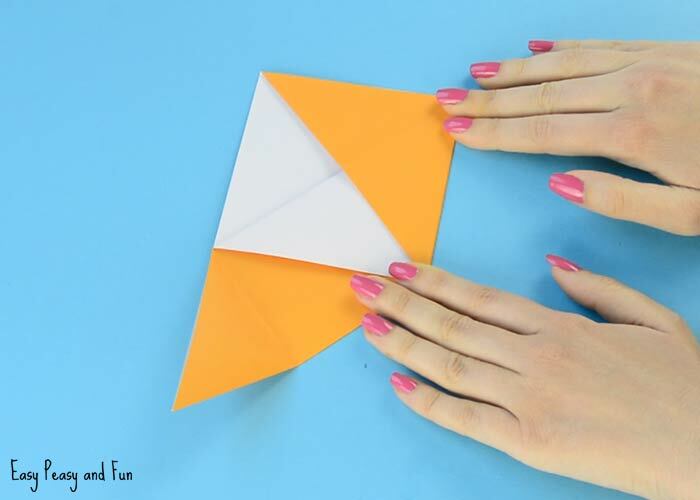 Start by folding a sheet of origami paper into half (fold across the diagonal line) to get a triangle. 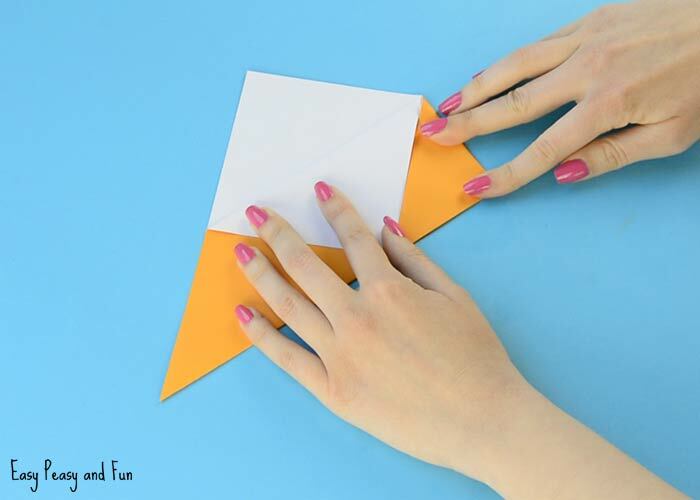 Grab one layer of the paper at the top of the triangle and fold it towards the bottom – a square should form. 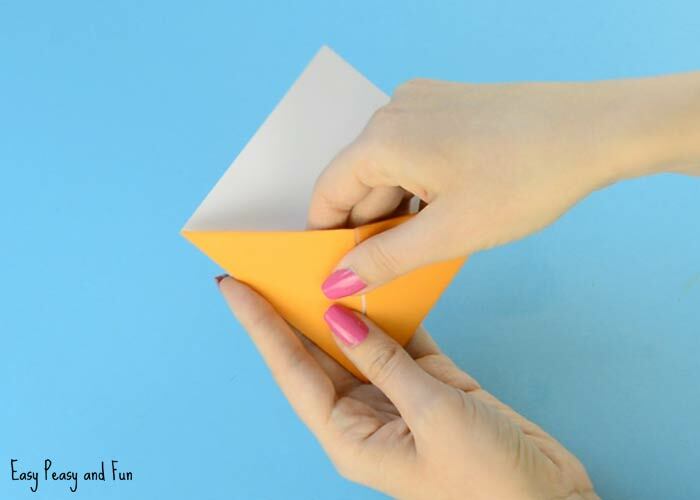 Take one corner of the triangle and fold it to the bottom middle. Unfold. 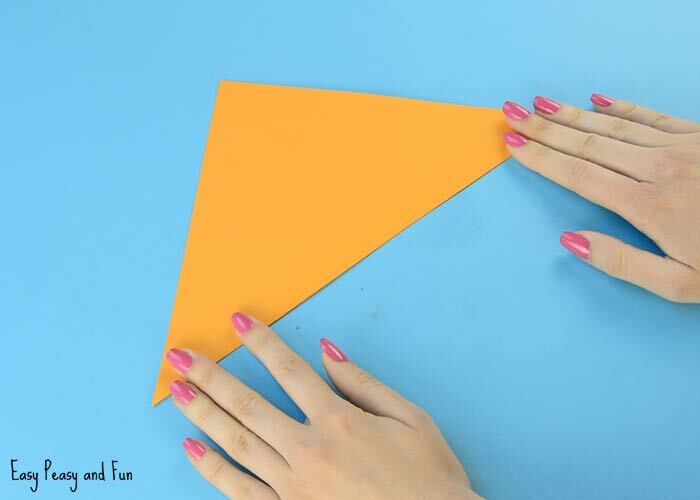 Now fold the same corners to the top of the triangle. Your corner bookmark base is now complete. Draw spots with a black marker (or a brown one if you fancy brown and white cows more). 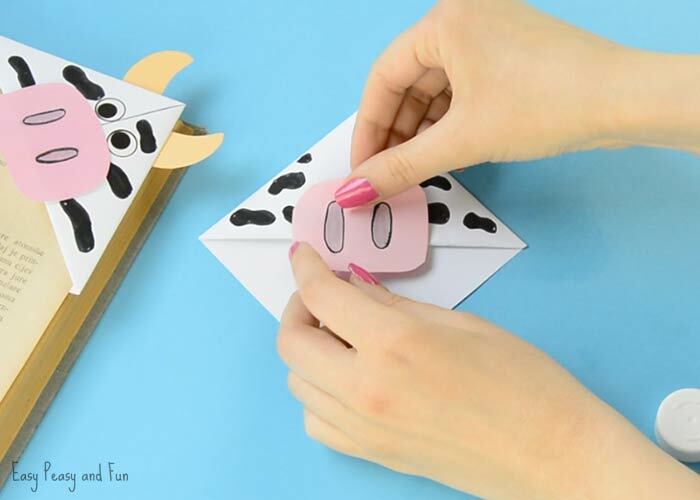 Cut a snout out of pink paper. Draw nostrils. 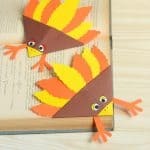 Glue the snout on the bookmark. 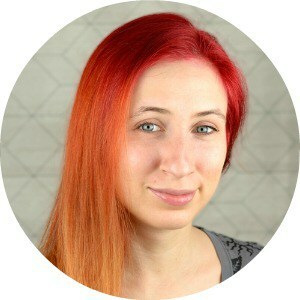 Draw eyes or stick on two wiggle eye stickers. 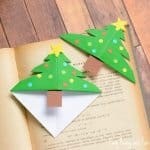 Cut horns out of beige paper and glue them on the bookmark. 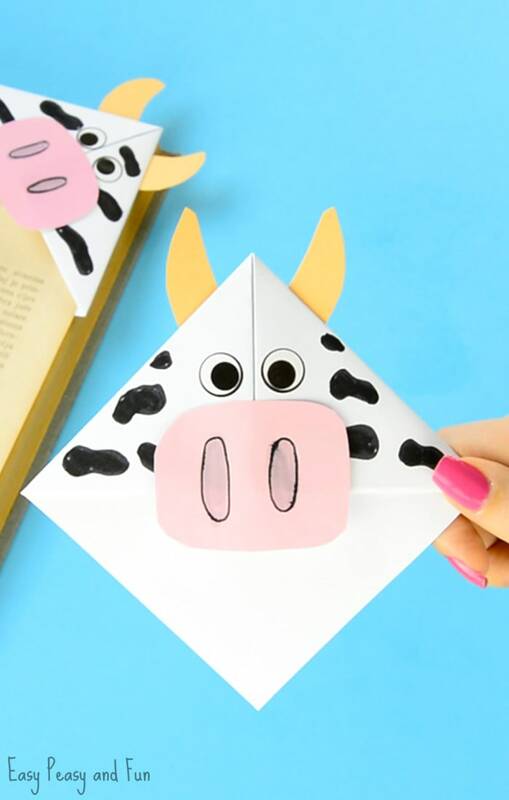 Your cow corner bookmark is ready!